West Java is one of the top tourism destinations in Indonesia and has been a magnet for travellers, both local and international, thanks to its stunning mountainous beauty and panoramic beaches. 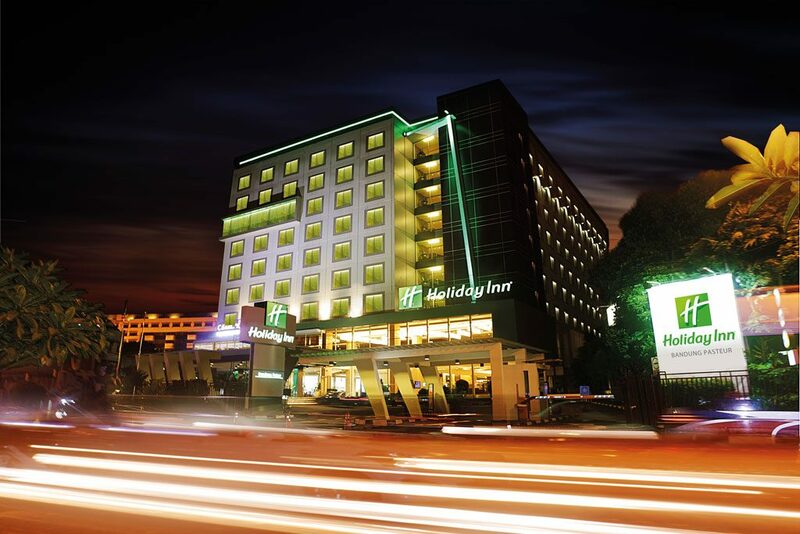 Whenever you visit this province that spans over 35,000 square kilometres to get some peace of mind or visit one of its numerous tourist attractions, there are plenty of hotels to choose from as accommodation. Aston Bogor Hotel and Resorts This four-star establishment opened its doors in December 2010 and is located in the commercial area Bogor Nirwana Residence, covering a vast area of 3.5 hectares with Mount Salak, Mount Gede, and Mount Pangrango in plain sight. It features 223 rooms of various types, each with its own private balcony, so every guest can enjoy the serene views of the surrounding mountains. As the hotel is situated next to the water theme park The Jungle, guests can enjoy a 50 percent discount for The Jungle Waterpark, Jungle Fest, and Jungleland Theme Park. Visit www.astonbogor.com for more info and online booking. 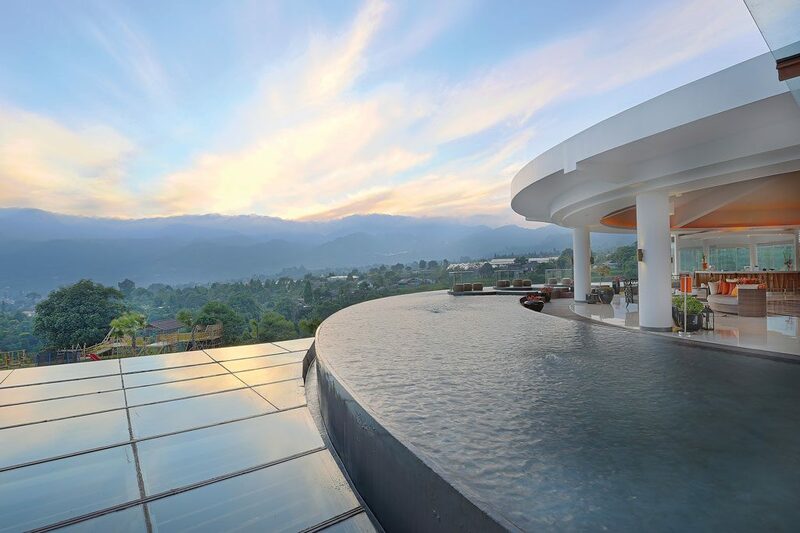 Pesona Alam Resort and Spa, Puncak Located in Puncak and only a 90-minute drive from Jakarta, the Pesona Alam Resort and Spa is a serene option for business and leisure travellers alike. Sitting within a lush 40-hectare green terrain with meandering rivers and a stunning pine forest, the resort still lies in close proximity to Taman Safari, one of Puncak’s main attractions. Pamper yourself at the Berembun Spa, take a dip in the pool, or just rest and relax in one of the cozy 138 rooms. For more information and reservation, please contact 082518217111 or [email protected]. Discover more at www.pesonaalamresort.com. Aston Sentul Lake Resort and Conference Centre Strategically situated near the Sentul toll gate and only a 10-minute drive to Bogor’s downtown area and close to the floating market and eatery Ah Poong, this hotel attracts both leisure and business travellers. The hotel’s modern touch is well-represented in its 220 rooms, ranging from Queen and Deluxe to Suite and Deluxe Double. It also provides spacious meeting rooms and a ballroom with a capacity for over 900 people with complete MICE facilities to ensure you will have the best meeting experience with your colleagues. Find out more at www.aston-international.com/eng/hotel-detail/121/aston-sentul-lake-resort-and-conference-center. Holiday Inn, Pasteur, Bandung Conveniently a 10-minute drive from the airport and 15 minutes to the central railway station, this hotel is also close to Paris van Java and Istana Plaza shopping malls as well as plenty of restaurants and Bandung’s museums, architecture and religious sites that are all well worth a visit. In this family-friendly hotel, kids aged 19 and under can stay for free in their parents’ rooms and can eat for free at any on-site restaurant. 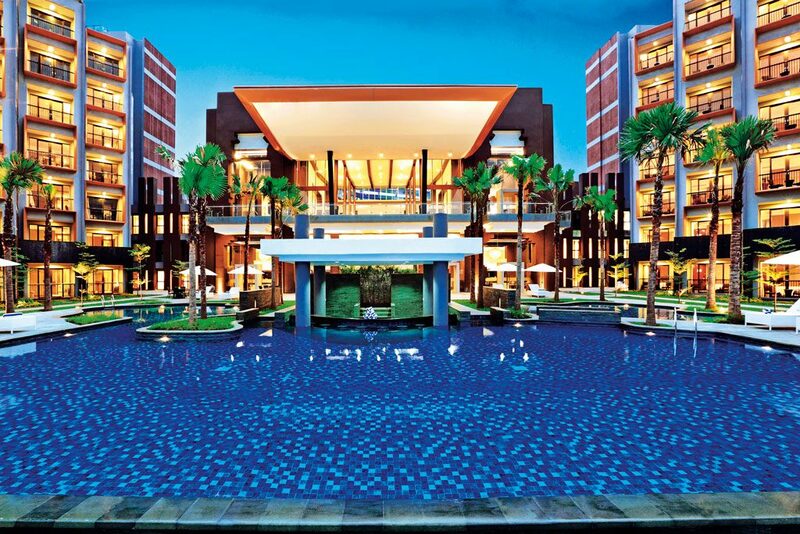 The hotel also features a ballroom, 12 meeting rooms, an executive boardroom, a spa, 2 pools and a gym. Click www.holidayinnpasteur.com for more detail.